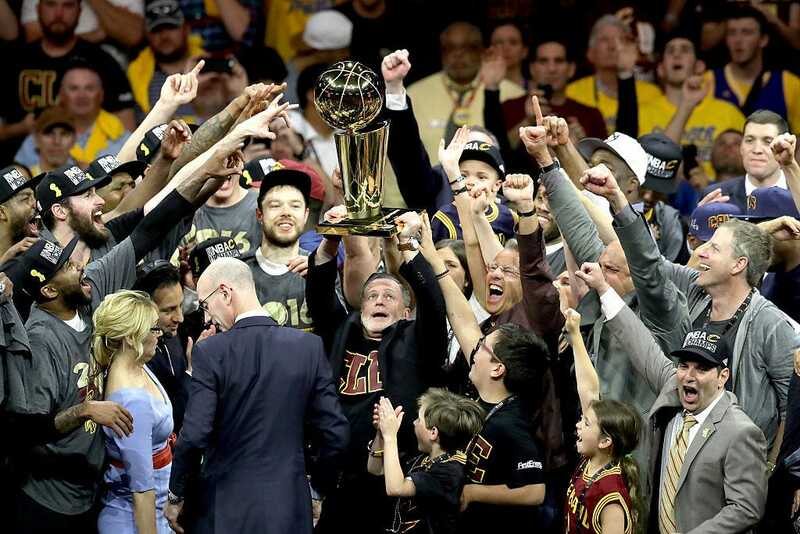 Now that LeBron James has delivered on his dream of winning a championship for the Cleveland Cavaliers, attention will turn to his impending free agency. While it may seem far-fetched to think he would leave the Cavs this offseason, there are some reasons to think that he will leave eventually and that it could happen sooner, rather than later. 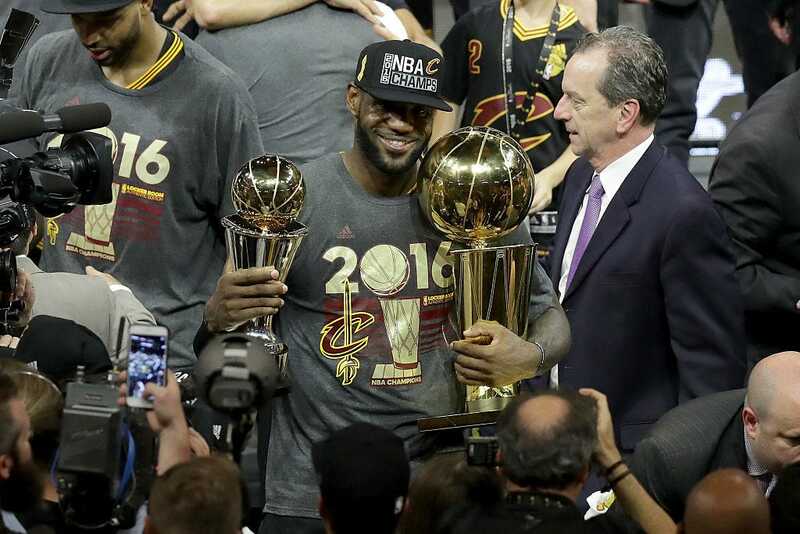 One day after James lifted the Larry O’Brien Trophy, the rumours had already started. Stephen A. Smith, who was the first to report that James and Chris Bosh would sign with the Heat in 2010, was on ESPN Radio and said he is “hearing” that the Miami Heat and Los Angeles Lakers are possible landing spots for James as early as this summer. It only took two seasons, but James has already fulfilled his mission for the city he affectionately refers to as The Land. So, what’s next for King James? A simple ranking of what is important to LeBron and where his loyalties lie should make it fairly obvious that James’ future could very easily reside in a different city with a different team. Here is a look at how LeBron James might rank his priorities and his loyalties. This one is simple. He helped the Miami Heat win a couple of titles. It wasn’t four, or five, or six, or seven, but it was two more than they had. He also helped the Cavaliers win their first title, and the city of Cleveland win its first major sports championship of any kind in over 50 years. The only thing left for LeBron is to add to his own resume. He is 31 and has three rings, the same number Michael Jordan had at the same age. It is easy to imagine that James has 3-4 more peak seasons left and maybe another 3-4 where he may need a little more help. If he can add two or three more championships and another MVP or two, James will solidify his spot as one of the two or three greatest players ever. After himself, LeBron’s next biggest loyalty is clearly to Nike. He recently signed a lifetime deal with shoe giant that is worth north of $1 billion. Depending on how much longer LeBron plays, he might make one-fourth of that in basketball salaries over the remainder of his career. 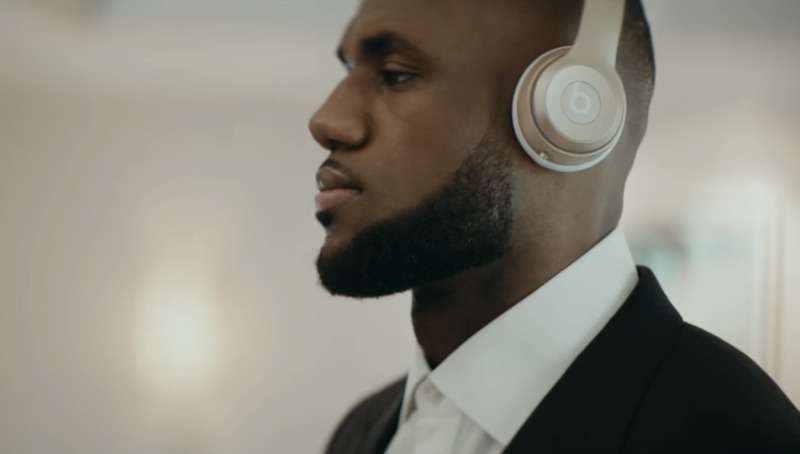 Also consider that when James signed with Nike, it was less about endorsing products, and it was more about the merger of two businesses, Nike and LeBron, Inc. Rather than use his agent to make this deal with Nike, James brought in his business advisor, Paul Wachter, whose background is in merger and acquisitions, a source familiar with the negotiations told Business Insider. In some ways, LeBron just ceased being a basketball player. That side still exists, but it is now just one department in a much bigger corporation. While LeBron still has his basketball legacy to worry about for the time being, his broader legacy, the legacy that will continue long after he stops playing basketball, is directly tied to this relationship with Nike. And if there is any doubt about how important that side of LeBron is, just watch the personal video he made in his shoe closet, shortly after the deal was reached. You can probably make an argument that only his own family is the only thing that ranks ahead of Akron in terms of his loyalty. The city is also very high on his list in terms of priorities. 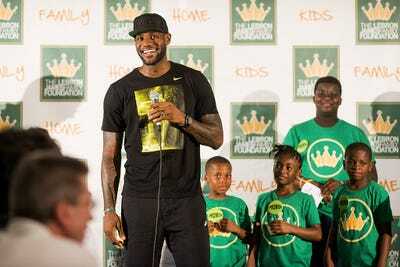 That is clear in the way he talks about Akron and in his actions, such as setting up scholarships to help more than 1,000 Akron kids go to college. Akron and Cleveland are both northeast Ohio, but the distance between the two cities feels a lot farther than the 40 miles on the map. James may someday leave Cleveland again, but he will never leave Akron. This is like a lighter version of LeBron’s relationship with Nike. He has reached the point in his career where his legacy off the court is starting to be as important as the legacy on it. But again, like the city of Akron, James can remain loyal to his business partners no matter which uniform he decides to wear. 5. The city of Cleveland and Cavs fans. LeBron often affectionately refers to The Land and there is a sense of loyalty there. But it has been clear for most of his career that James is more loyal to his hometown of Akron and to northeast Ohio in general. This is not to say that Cavs fans aren’t important to LeBron. 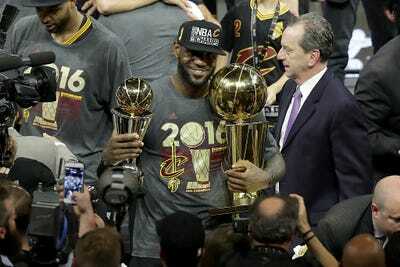 But it is to say that he gave them a championship and now his priorities may reside elsewhere. 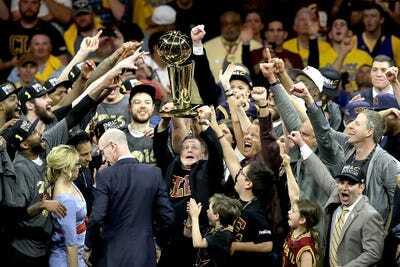 At this point, there is nothing to say that his dream of forming a super team with his NBA buddies is more of a priority than winning one or two more championships in Cleveland. But it is something he has thought about and if the situation presented itself, he would probably at least think about doing it now. LeBron certainly feels a sense of loyalty to his teammates. He probably also feels some loyalty to fans in Cleveland and to try to win at least one more championship for the city. 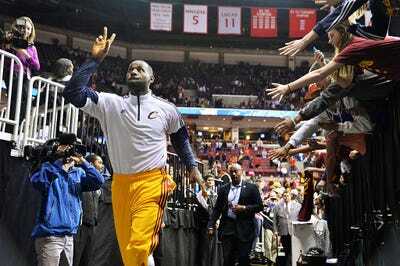 But it is hard to imagine James feels any loyalty to the Cavaliers and that starts with owner Dan Gilbert. 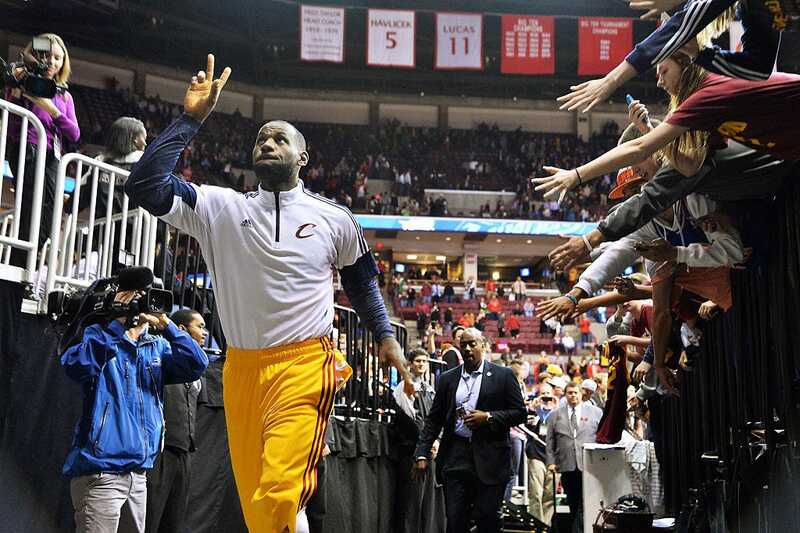 James said all the right things when he announced his return to the Cavaliers. But it was clear that the infamous letter from Gilbert and the burning of his jerseys by fans were still fresh in LeBron’s mind. James was willing to toss aside any grudges. But it is important to note that he set them aside for the sake of kids who look up to him, not for the Cavs and not for Gilbert. And even if there is no grudge, that doesn’t mean he has forgotten what happened when he took his talents to South Beach. James went back to the Cavaliers to accomplish a mission. That goal has now been fulfilled and thanks to the way he was treated on the first time he walked out the door, all it means is that he is going to feel less guilty the next time he leaves. It may not happen this summer, but it does feel inevitable. Winning a championship just makes it more likely that LeBron will pack up his talents once again, and that it could be sooner, rather than later.